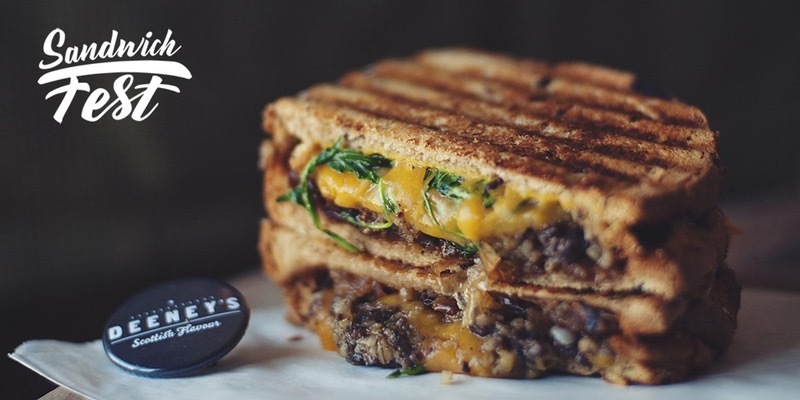 Sandwich Fest is a one day celebration of sandwiches, taking place in Hackney / London Fields on Saturday 20th May, with 8 elite sandwich makers - inc Deeney's, Earl's, Grill My Cheese, and Le Bao - all battling it out to be crowned the best. There are two sessions, starting at 12 noon and 5pm, and tickets cost just £9 + fees, which gets you your first sandwich plus drink. There will also be bars - from Five Points - cocktails, Pimms and more. It's going to be huge! "Brits love a good sandwich. We consume over 11.5 billion each year and at Sandwich Fest you'll be able to try taster sized sandwiches from some of London’s best sandwich specialists and vote on your favourite. On Saturday 20th May London's very first Sandwich Fest will launch at SPACE Gallery Courtyard, Hackney. The inaugural festival is set to offer a variety of exclusive sandwiches from London&#39;s renowned street food vendors and restaurants, focused on upping the sandwich game, alongside craft beer, specially created cocktails and live music. 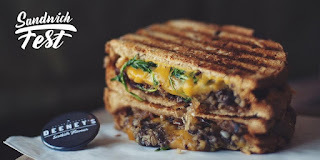 Sandwich aficionados such as Deeney&#39;s and Project Sandwich will be joined by cheese enthusiasts, Grill My Cheese while Le Bao (voted best sandwich at The Street Food Awards 2016) and The Piadina Project bring tasters from around the world. Earl&#39;s will bring their subs to the event served in their 1979 Chevrolet van and critically acclaimed Bala Baya will serve up Tel-Aviv inspired pitta sandwiches from Ottolenghi protégé, Chef Eran Tibi. In addition, Happy Endings will provide desserts for those with a sweet tooth. Festival-goers are encouraged to try as many sandwiches as possible with at least three different taster-sized portions sold at each stall, from savoury to sweet offerings, including dishes exclusive to this year's event, unavailable anywhere else. Bala Baya’s Sticky date glazed short rib, bonfire potatoes &amp; green horseradish aioli served in pitta Deeney’s The Macbeth – well-renowned offering featuring Haggis, Scottish cheddar, caramelised onions, rocket and mustard on toasted granary. Grill My Cheese’s Londonion – their take on a cheese and onion toastie featuring onion jam, pickled onion gel, pickled onion Monster Munch, spring onion, signature cheese blend. Le Bao’s Pork Belly Bao – Voted Best Sandwich at The Street Food Awards 2016, braised pork belly, sweet powdered peanuts, Mirin cucumbers, Hoisin, coriander, chilli. Project Sandwich’s El Jefe, Revisited – smoked pork, roasted chilli, salsa mojo, pickles, gruyère, crackling. The Piadina Project’s The Lincolnshire - Italian flatbread, fresh burrata, butter-flied Lincolnshire sausage, crisped pancetta, rocket &amp; homemade mushroom glaze. Happy Endings ‘Naughty’ – delicious salted caramel and miso parfait in between fine layers of chocolate Guinness cake."